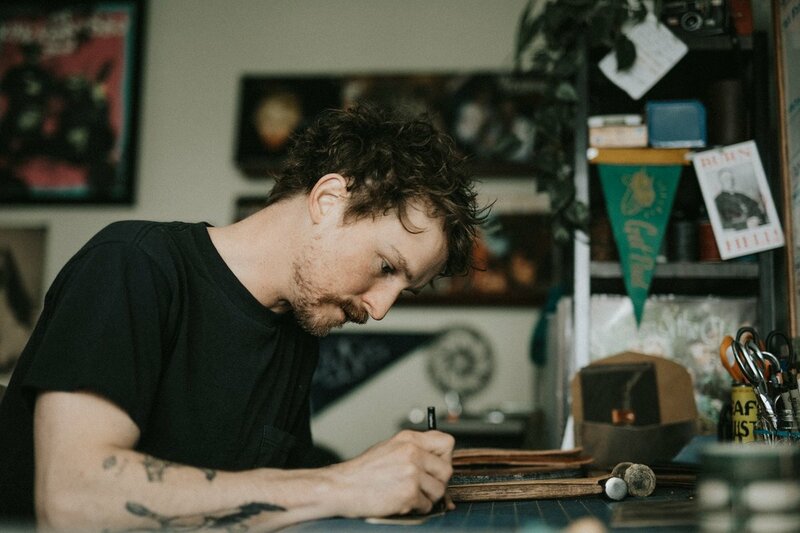 The inimitable intricacy and style of Jeremy Haas is hard not to notice when it comes to his manufacturing technique. 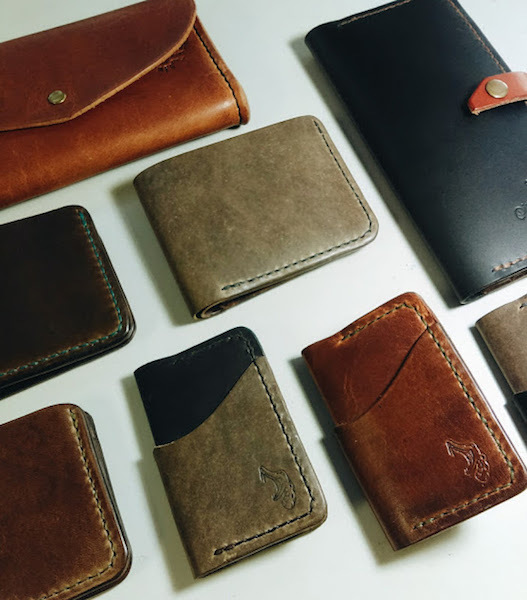 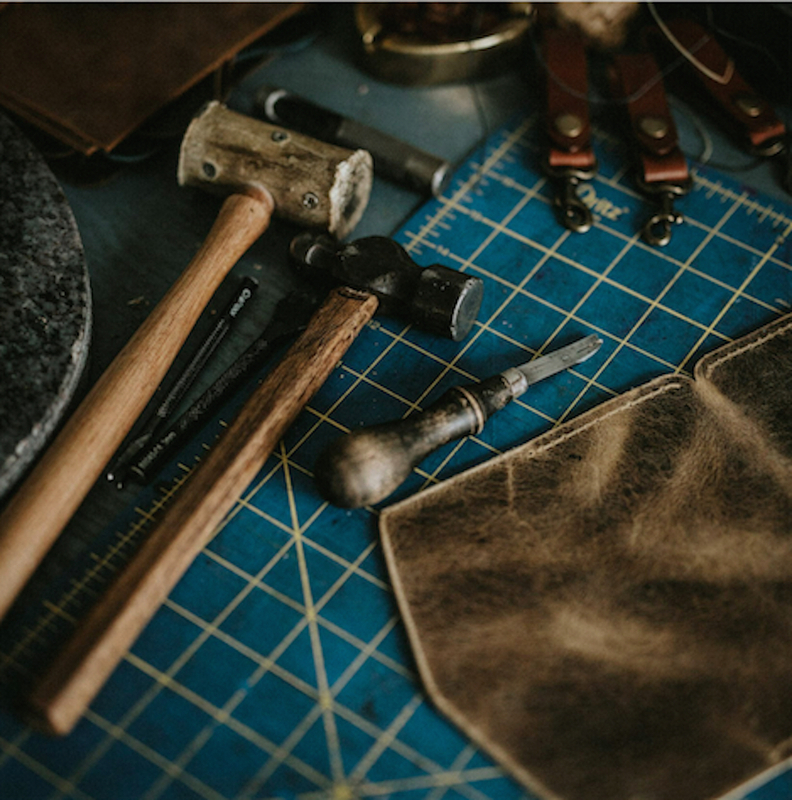 His deliciously different leather goods are simple, sleek, and they’re stitched using the toughest, timeless stitching method possible—the saddle stitch, meant to never unravel or fail. 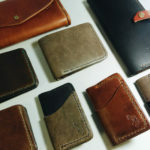 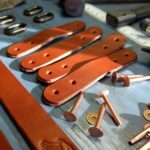 Pinch Flat Manufacturing is in its third year of business, but Jeremy was first introduced to leather work about six years ago through a good friend. 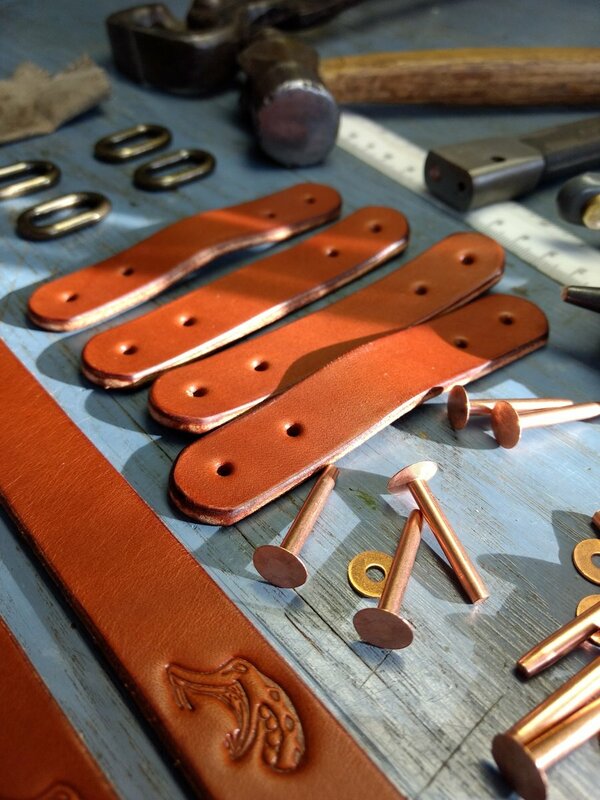 Leather quickly became his favorite medium for its endless possibility. 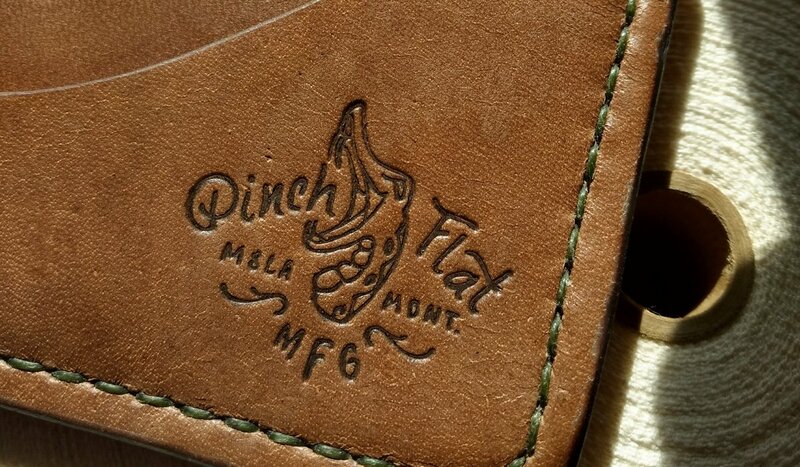 The evolution of his Pinch Flat products is a process of creating a new project, testing it, refining it, refining it, and refining it until he knows for sure that it stands up to his standards. 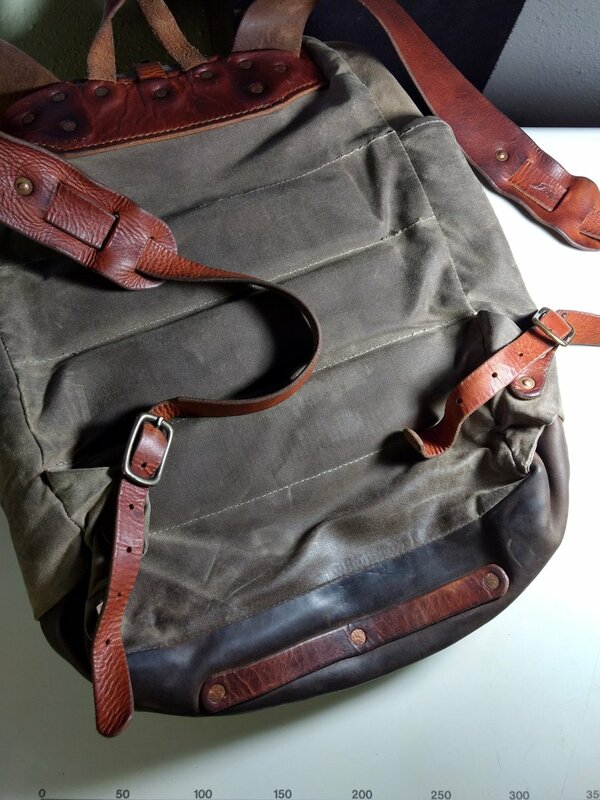 As of late, Jeremy has delved into the world of waxed canvas goods, too. 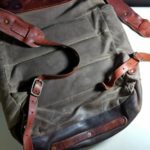 After all, leather and waxed canvas are products that only get better with age. 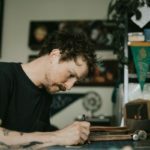 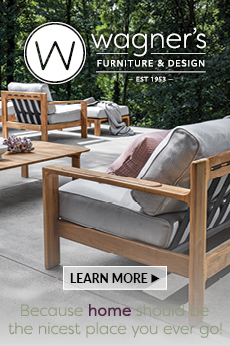 “I like to joke they’re ‘like a fine wine.’ I want that product to be able to hold up to an endless life of patina, and take on a wear and tear that tells a story,” said Jeremy. 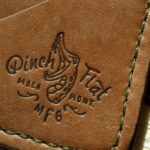 The name Pinch Flat Manufacturing comes from a bicycle term for a certain type of flat tire: pinch flat, which is also referred to as a snake bite, is well suited for Jeremy, who has been an avid cyclist for more than 10 years. Find your style at PinchFlatMFG.com or in person at the People’s Market every Saturday May through October, Betty’s Divine on South Higgins, or at Noteworthy on Third Street West.